West Seattle Natural Energy is growing! In order to do this we are looking to add to our sales staff. If you have experience in outside sales, a desire to work in a cutting edge industry and would like to work with a small, family owned business with great growth and earning potential please give us a call! This job does require that you be able to get on the roof to take measurements and solar eye readings. We will provide the ladder (a Little Giant that folds), but your vehicle will need to be able to hold it. Compensation is salary + commission, training is included. We provide the leads and set the appointments, you do the follow-up. Our service area is most of Western Washington, so there is a fair amount of driving. We ask that you work 5 days a week, Tuesday – Saturday to allow for Saturday appointment requests. Please contact Amy Beaudoin for more information or to set up an interview: 206-261-6654 or amy@westseattlenaturalenergy.com. WSNE at the GoGreen Seattle Conference! WSNE is excited to be both a sponsor of and vendor in the 2016 GoGreen Seattle Conference this March 30th at The Conference Center at 800 Convention Place. 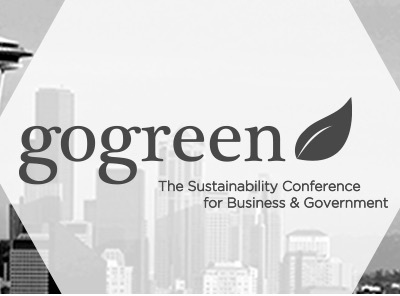 The GoGreen Conference, created and organized by Social Enterprises, is a sustainability learning experience for business and public sector decision-makers. Featuring regionally targeted content and recognized leaders from the community, GoGreen works across industry silos to foster peer-to-peer learning and collaborative solutions. We believe sustainability in the business setting is a powerful and indispensable tool for navigating the tumultuous waters of today’s global economy and solving our climate woes. Our mission is to empower attendees with the strategies, tools and connections to green their organizations with profitability in mind. This year’s conference will have speakers such as Dow Constantine, King County Executive; Molly Moon Neitzel, Founder and CEO, Molly Moon’s Homemade Ice Cream; Gifford Pinchot III, Founder & President Emeritus, Pinchot University; Ash Awad, Chief Market Officer, McKinstry; Peter Chambers, Engineering Manager, Boeing; Brenna Davis, Director of Sustainability, Virginia Mason and many others. The speaker schedule can be found here. Kitsap County here we are! 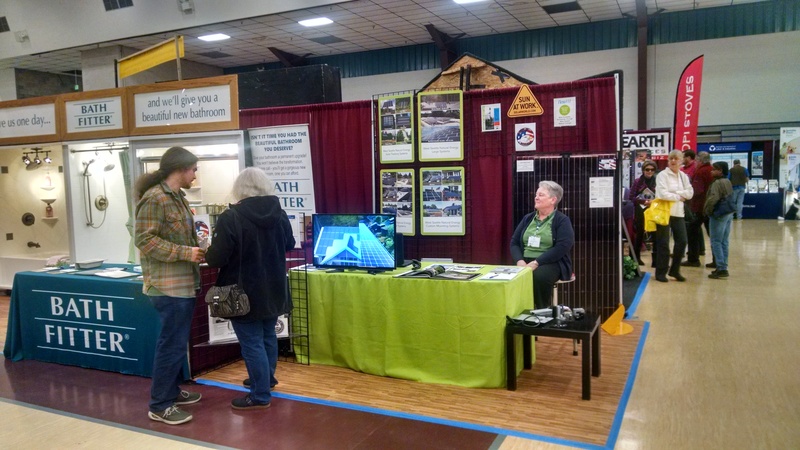 Come join us at the Kitsap County Fairgrounds in the Pavilion building for the Spring Peninsula Home and Garden Expo this weekend! We are in booth 069. Information about the show can be found here: Kitsap Spring Home Show. This is our first year at the show and we’d love to have you visit us! We’re in booth 2365 and have an example of the new Solar World Glass on Glass panel with us. Come have your Solar questions answered! 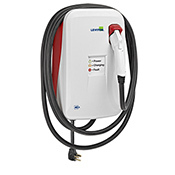 Now offering EV Chargers $1,695 installed! If you’ve been waiting to install an Electric Vehicle charger because you didn’t know which one to buy or didn’t have anyone to install it properly for you – wait no longer! We are now a distributor for Levitron and offering their evr-green 400 (Model EVB40-PST Surface Mount) Electric Vehicle Charging Stations. These are the charges recommended by many of the Major EV manufacturers and are Level 2, 40 amp 9.6 kW output chargers. The charge for basic installation is $1,695. 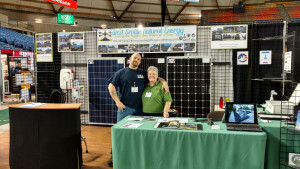 Ryan and Lin in our booth at the Tacoma Home & Garden Show! Check out our Calendar for all the details.